Nintendo of Europe's just finished updating its release schedules for 3DS, DS and Wii, and the company's home console still has a few interesting titles on the way. Chief among them is hotly-anticipated RPG Xenoblade Chronicles, out on 2nd September including an exclusive red Classic Controller Pro. Nintendo's other big Wii releases for 2011 — Legend of Zelda: Skyward Sword and Kirby Wii (tentative title) — are both date-less, but reconfirmed for release this year, which is good we suppose. On WiiWare there's a Quarter 3 date slapped on MotoHeroz from Trials HD developer RedLynx, and Anima Game Studio's promising Ark of Sinners scheduled for release next month. Elsewhere it's the usual mix of licensed properties and dance games. Here's Nintendo's list for your approval. @MAddogz: While I don't necessarially agree with NyanCat, I do understand their sentiment. After the whole petition and reaction from NoA, I'm pretty pissed off myself at them. It may just be another "I can neither confirm nor deny," but it's kinda like a stab in the heart for that many fans to get snubbed by such a dear company to them. That being said, I'm happy for you guys and a little jealous of you guys in Europe, and I may have to find another way to play the games if they don't get released over here. And yes, I do acknowledge that you guys in Europe missed out on a lot of good games in the past too. It goes both ways I guess. Wow. Nothing on 3DS, not much on Wii. Well, at least that'll help me save. @amerilia: NoA probally wants to see how it sells in Europe, if it is enough it will get released in the US. they only said "at this time" means until end of year. Let's see if makes the cut for the last Wii games, when WiiU ships. @ Anyone complaining: Get a Life or import!!! There are more important stuff in life than this one game!!! Looks like a lot of interesting games. When does Lego Harry Potter comes out BTW? Xenoblade chronicles is easily the best game on that list and ark of sinners looks good too but it would've been nice if Castle of shikigami III was on there too. Pqube said it was coming to Europe this year and it was supposed to be released in Q1, so why is it taking so long? Looks like very few new games for me this year. Yep, I'm sure America's line-up isn't any better. The Wii is on its way out now, it seems. I'll be sort of surprised if the new Zelda and Kirby games on the horizon aren't mysteriously "delayed" and subsequently released for the Wii U. Pretty sure Mario Party 9 is scheduled for 2012 unfortunately. So no VC games for the Wii then is that right? No Mega Man 5 or X then? yawn. what happened to the wii. it`s absolurely dead this year. i accept that devs are gearing up for the wii u, but still, there`s been a deffinate drought on all fronts for the wii since the year began. i suppose it gives me time to catch up on games that need finishing at least. MEH! I'll just get stuck into some VC, there are LOADS of titles I haven't played. Skyward Sword. Maybe the Wii Kirby, too. Even in years where the wii's release schedule isn't so barren, there aren't many good releases in Q3. Apart from Metroid: other m, there weren't really any good wii games in Q3 last year and its the same for handhelds, there wasn't really anything good on DS last year in Q3 apart from DQIX, even if that is one of the most overrated games on the console. It's gonna be barren here too, dang Nintendo WHY don't you care about Wii anymore? "Wii Has a Barren Summer Ahead"? Summer? Why stop at summer? Is there any "season" (summer is a season after all) when it won't be barren for Wii? Sorry, just another bitter American who can't get excited over "Just Dance 3". I am really looking forward to Kirby but that hardly makes a "season". (And yes I'm still holding out for Skyward Sword in HD on WiiU, well I'm at least waiting until Xmas 2012). Barren in Europe?! It's barren everywhere, and you guys have a freaking oasis at the end of it! Hmm, I am still not satisfied since I still need dates for a couple of Wii games. And it's just crazy that there is still not a concrete date for Skyward sword. You would almost believe they pull a "Twilight princess situation" at the very last moment! Pleaaassse, let that not be true!!! 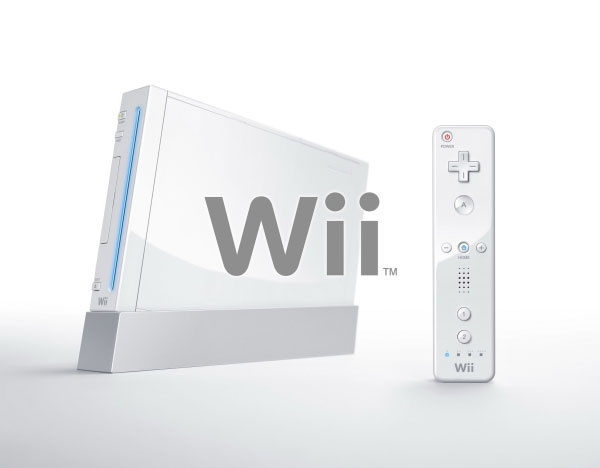 Wii is pretty much dead, and NOA nailed the final nail into coffin yesterday. It was a good run will it lasted...good thing I just picked up a PS3, and I have a ton of backlogged games to play. A console should NOT be dead (which NoA has now basically insured it is now) a full YEAR OR MORE before it's successor's arrival. We're months from even having a frigging RELEASE DATE for Wii U! Complete disrespect and disregard for Wii owners. The SNES died before the N64 was released. The N64 died before the Gamecube released and the Gamecube died before the Wii was released. I've lived through these dead console periods before. So are we getting no more VC games for the Wii then? I believe the last Gamecube year was also terrible. But this is even worse! We won't see the Wii u before April 2012. Reggie said that! I think we see it November/December 2012, not earlier! Wich means we have a drought of 1,5 to 2 years!!! Thats really terrible!!! @29 These aren't all the games being released, they are the only one currently announced for sure. @mariofanatic: I would probably forget about Castle of Shikigami III to be honest; ditto for Octomania. Both publishers are quite small and games without a clear "family" tie-in from small publishers like that aren't getting a lot of interest from retailers so it's not necessarily worth it for them to press the discs. I'm reasonably hopeful Williams Pinball Classics is coming on the 15th; the date has slipped many times, but GAME is still taking pre-orders, plus I know the game is complete on all platforms and it's just been some kind of behind-the-scenes issues causing delays.